Mizuno Wave Ultima 7 are neutral cushioned running shoes. 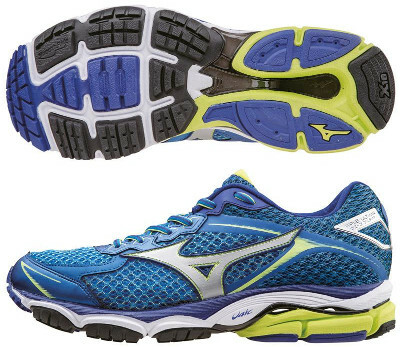 The Mizuno Wave Ultima 7 delivers even more value for money after last upgrade. Featuring same latest technologies advantages as its bigger sibling the Wave Enigma 5, it provides a lot of cushioning in a lightweight shoe for neutral runners. Major change in the Ultima 7 is the lighter material U4icX™ in the heel which combined with the Wave™ plate provides a smooth and cushioned ride, ideal for heel strikers. An extra EVA foam layer under the innersole increases the comfort. The other big change is the new upper based on the already known lightweight and breathable AIRmesh™ from the Wave Inspire 11 with improved fit provided by internal stripes (Dynamotion Fit™) that follow foot movement featuring a secure transition.